This entry was posted on April 5, 2019 by Harrisons. We are thrilled to announce that we have (yet again!) been awarded with a Gold Trusted Service Award from customer review site, Feefo. 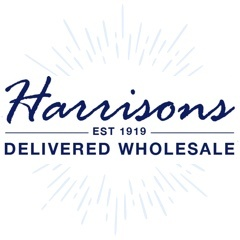 Here at Harrisons Direct, we believe in delivering excellent customer service and work hard to provide all our customers with a positive experience, therefore it is brilliant to be recognised for our efforts. We are proud to have an average rating of 4.8 out of 5 from 898 verified reviews on Feefo, which we think you’ll agree is impressive! Plus, Feefo pride themselves on publishing only genuine reviews from real customers, which makes the accolade even more meaningful. Here’s to another year of going above and beyond for our customers!